Schoolhouse Ronk: I'm loving this! 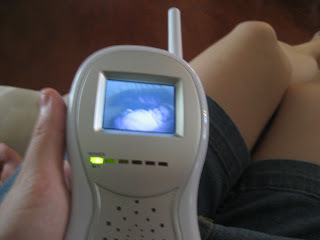 I love love love having this video baby monitor and having her sleep in her crib. She actually sleeps and we actually sleep! Its great! Her doctors appointment yesterday went great! She is up to 9lbs 8 1/2 oz! Right after they weighed her she pooped all over me and the car seat and the table that they have in the exam room. It was great. lol.